A year ago, I wrote a post about scraping the OpenEd abstracts. As the conference unfolded, there was a sizeable conversation around the amount of “OER-ness” happening at OpenEd. In a subsequent post, I provided a chart which showed how many abstracts contained the word “OER” in which I concluded that this wasn’t a new development for the conference. Below I’ve updated the chart to include this years data. Now it’s important to say that I don’t present this data to necessarily make much a statement about OER but rather to continue to conversation. In fact, I do this out of curiosity more than anything else. I’ve pulled a few of the top abstract terms (plus some) and done a similar simple count. Abstracts can certainly steer the conversation, but they don’t necessarily dictate them. Inevitably, the conversations will be whatever you wish it to be. 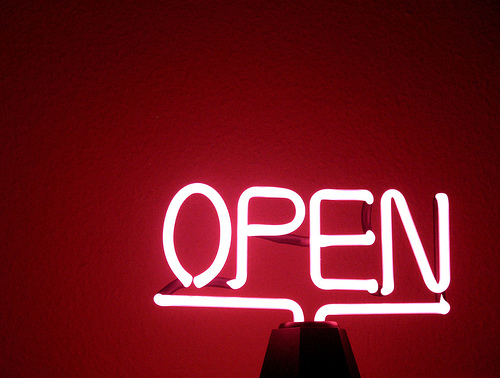 Whatever “open” you feel like you prefer, I encourage you to wave your flag proudly. Also, if you would like to look at the data set, here’s the CSV file. You can also play with the data on Voyant Tools. Featured Image: Open by Late Night Movie via Attribution Engine. Licensed under CC BY-NC-ND.